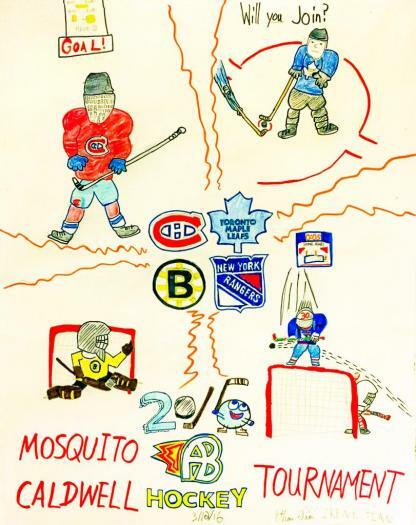 Acton Boxborough Youth Hockey has tradition of mosquito tournament in memory of Caldwell in every March. It was a 3 days fun event. I draw one poster for 2014 tournament and everybody liked that, so I draw another one for my sister Irene who is in mosquito this year.